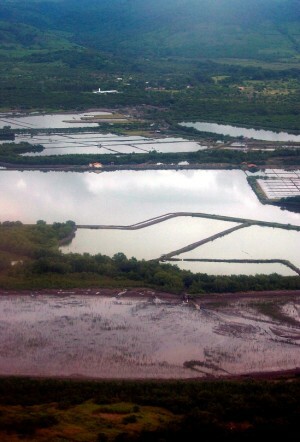 The southern Honduran departments of Choluteca and Valle are lined with dark sand volcanic beaches and mangroves that teem with giant prawns and clams. In the midst of this delicate ecosystem in the Gulf of Fonseca, Honduras, El Salvador and Nicaragua have fought for centuries over pockets of land and tiny, barely inhabited islands set in a glittering deep blue sea, home to considerable biodiversity. Honduran President Juan Orlando Hernandez has launched a new program, “The Time of the South Has Come”, and declared the region – once considered little more than a rocky, drought-prone outpost – a new “development pole for Central America”. But local communities are clamouring for the church’s help as they confront plans for a “charter city” free-trade zone and a gold rush they believe sounds a death knell for the region. In July 2014, a shaft in a warren of underground tunnels of an artisanal gold mine in San Juan Arriba, in Choluteca, collapsed and buried 11 miners, killing eight. Four years earlier, a now-disbanded government mining authority had warned the mine was dangerous and should close, but nothing was done. “There is an overwhelming demand from communities affected by new mining concessions that are polluting the environment and trampling on their rights,” said Juan Gabriel Mendoza, coordinator of a Caritas Choluteca project providing training and support to communities in nine municipalities. So far, 153 leaders have received training in human rights and environmental law. The papal encyclical Laudato Si’, on Care for Our Common Home, is next on the curriculum. 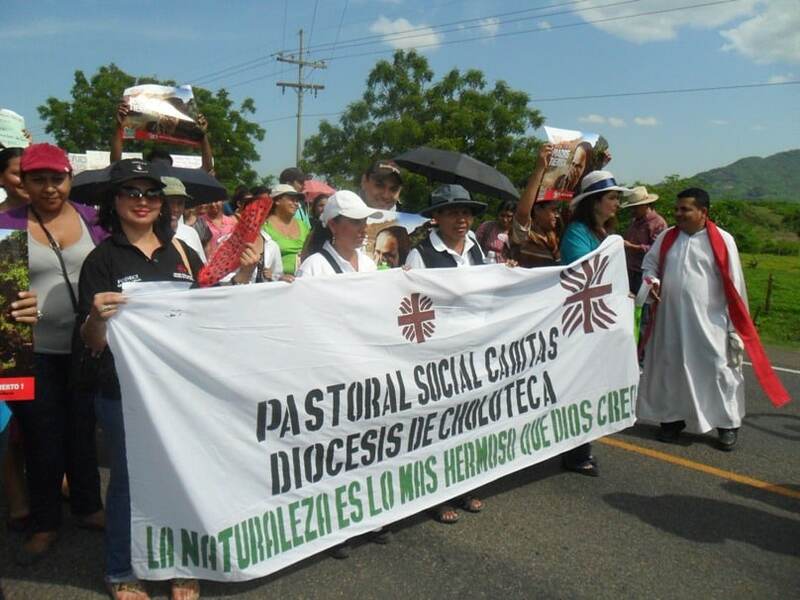 Training and other activities are carried out in coordination with some 30 local priests active in the environmental movement, with support from Quebec-born Bishop Guy Charbonneau of Choluteca. “The church has opened our eyes,” said Lourdes Oneyda, a teacher from El Transito, a village outside Nacaome, who says the plans to attract investment amount to “giving the country away on a platter”. Oneyda, a community leader, has been accused of trespassing and damages to private property by the owner of a local artisanal gold mine. Residents claim that dynamite blasting at all hours of the day and night are cracking the walls of their homes, and mercury used to extract gold from rock is damaging the environment. They have demonstrated around the mine site and the Nacaome parish priest, Fr Vicente Rueda, has celebrated Mass there. To avoid detention, Oneyda and seven others accused have to sign a register monthly at the Nacaome courthouse. Assisted by Caritas Choluteca, the community has filed charges against the mine owner, Maria Gertrudis Valle, for operating without the necessary permits. Since the lawsuit was filed, daily blasting has stopped and the Choluteca public prosecutor was suddenly replaced. Oneyda recently attended a Vatican-sponsored meeting for communities affected by mining. Her attendance was facilitated by Bishop Charbonneau, known affectionately as Bishop Guido, whom the population has compared to “our own Pope Francis”. Caritas is also supporting community polls on mining projects. Recently, in the Choluteca community of San Martin, people voted 537-1 against another artisanal gold mine, operating in the middle of the community without permits. A subsequent meeting with Mauricio Oliva, the Choluteca-born president of the Honduran congress, has so far produced no results. The new mining concessions are part of the plan to create a charter city in the strategically placed port of Amapala. Known as Zones for Economic Development and Employment, the areas are modelled on similar initiatives in Singapore and China. Their purpose is to attract investment by offering a tax-free environment and suspending Honduran police and courts in the zone – investors can bring their own. The zones are to be overseen by a “best practices” international committee. Pedro Canales, a catechist and one of 5400 residents of the gulf island Zacate Grande, fears that the charter city could herald the end of his community. “The land here is worth millions to the developers of a charter city,” said Canales, who along with 30 others has been embroiled in a 16-year legal battle with the wealthy Facusse family, one of the 17 families said to control Honduras. Canales’ family has been farming this island since his mother arrived from El Salvador 83 years ago and married his father. No one here has a title to their land but, by law, anyone who has worked the land for 10 years or more has rights to stay on it. But the Facusse family claims that a land title given by the government to their ancestors in 1898 overrides customary land rights. The court makes the alleged trespassers – who have never lived anywhere but on the 560 hectares of disputed lands – to take a rowboat to a neighbouring island each month to sign a court register.